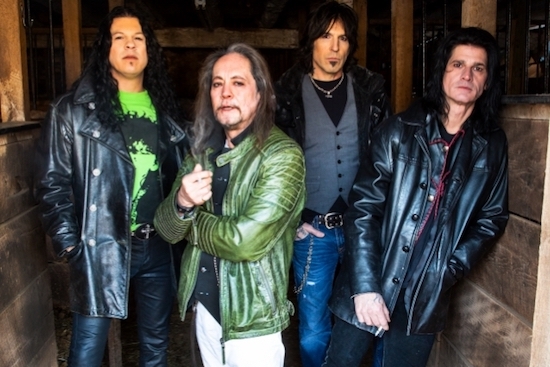 Red Dragon Cartel, the band led by former Ozzy Osbourne and Badlands guitarist Jake E. Lee, will embark on a North American tour in February. The trek will begin on February 23rd in Reno, Nevada and wrap on April 2nd in Queens, New York. Red Dragon Carte’s second album, Patina, is being released today (November 9th) through Frontiers Music Srl. The follow-up to the band’s eponymous 2014 debut, marks the group’s first release with drummer Phil Varone (Saigon Kick, Skid Row) and bassist Anthony Esposito. The band’s current lineup is rounded out by singer Darren James Smith. I don’t know who chose that band picture to be the one to use but they must’ve been high if they think this is a good picture. Probably either than band themselves, or their record company.